The Advanced Analysis Facility (AAF) is a user-based research instrumentation facility that serves as a cooperative research arm of the College of Engineering & Applied Science. 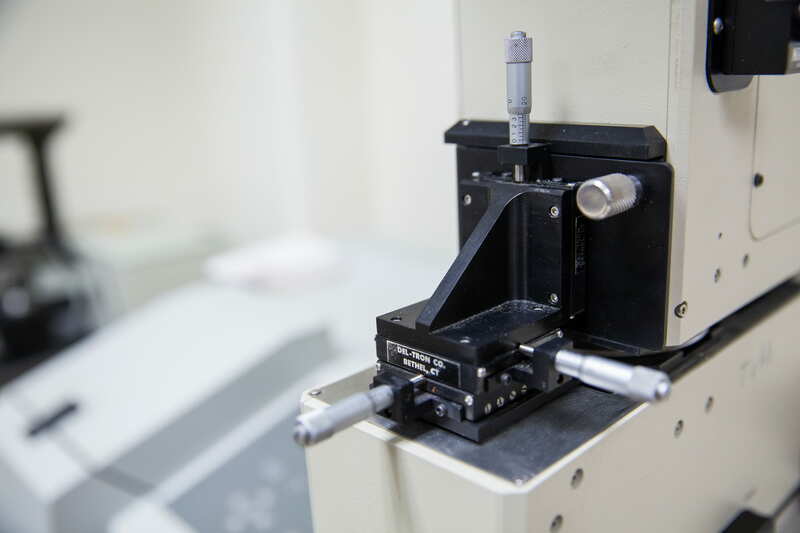 The facility houses and maintains research instrumentation, which provides full capability for materials and chemical analysis. Its use is open to academic researchers within UW-Milwaukee, as well as outside the university, including individuals from industry. Through the AAF users have easy access to advanced instrumentation along with expert advice. For university users, utilizing the AAF saves individual research groups from having to invest in high-priced equipment and the associated maintenance/ training costs. For external industry users, the AAF provides an alternative to private analysis laboratories and fosters collaboration with students and faculty. All researchers in the UW-Milwaukee community are welcome to use the instrumentation at the AAF, regardless of their affiliation with the College of Engineering & Applied Science. In addition, industry projects and community collaboration are encouraged. During its 25 plus years of existence at UW-Milwaukee, the AAF has supported numerous research efforts leading to cutting-edge technological advances. 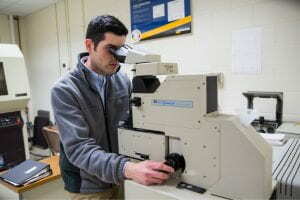 Instruments like the X-Ray Diffractometer are available for our students to use – even at the undergraduate level.